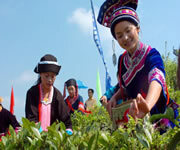 Oolong tea, which means ‘Black Dragon’ and is spelled Wu Long Cha in Chinese, is referred to as a semi-oxidized tea. Tea plantation from Wu Yi Mountain of Fujian China produces the highest quality of Oolong teas thanks to their historical legends, mature culture, ideal subtropical climate and distinguishing process methods. Among the Oolong series, by giving off a strong unique varietal fragrance and rich taste, Ti Kuan Yin Oolong stands out for its world recognition and special favor. 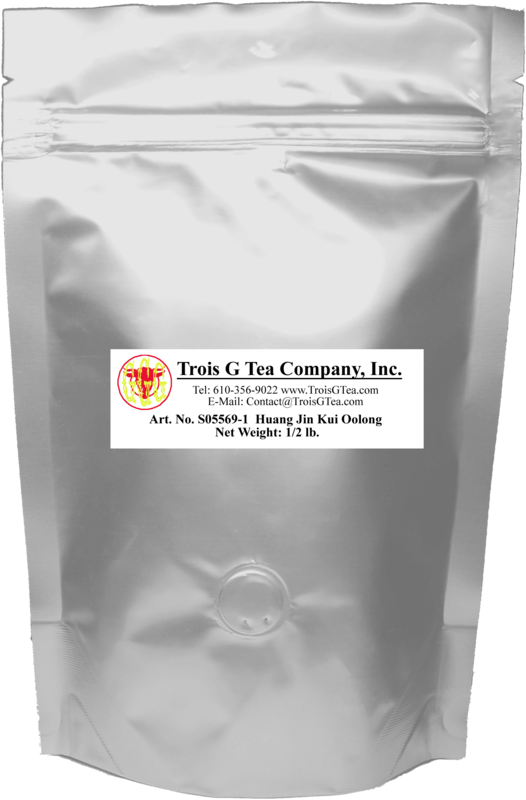 Originated from Wuyi Mountain, in Fujian, China, this Oolong (means ‘Black Dragon’ in Chinese) tea is a semi oxidized tea. It is manufactured very similar to other black teas, but is given a much shorter withering period, a light roll and then allowed to ferment only until the edges of the leafs start to turn brown. There are delicate notes of Ti Kuan Yin style flavor combined with superb flavor and a slight herbaceous green character. 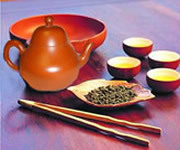 Shui Hsein (or Shui Xian) Oolong is popularly served in many Chinese restaurants all over the world. It is also one of the most common favorites among Gong Fu tea drinkers and is made following the traditional processing method. Its liquor is a shiny orange color with a sweet honey taste and a particular smoky note and lingering floral finishing. Drinking it is a very affordable experience for people who didn't experience the Shui Hsein. Huang Jin Kui (Golden Osmanthus in English) Oolong is originated from the hometown of Oolong Teas, locating in An Xi, Fujian, China. It has a distinct Osmanthus flower-like aroma or an aroma of blossoming lilies. The yellowish green leaves of this tea are incredibly complex, combining the full-bodied flavor typical of Oolongs. A premium-grade, medium-oxidized high-mountain Oolong, the tea when infused has a unique golden liquor. Its flavor is equally alluring. A renowned tea expert, having tasted it recently, was said to have nearly fallen into the teapot -- 'astoundingly delicious'! It has been reported to be awarded many competition medals in recent years.